A great thinker once said, “everybody’s working for the weekend,” and in esports that’s definitely true. All the best events to watch are jam packed into the weekend. Here are the events we’ve got our eye on this weekend from Blizzard’s esports, plus all the links to watch, and info you need to know. 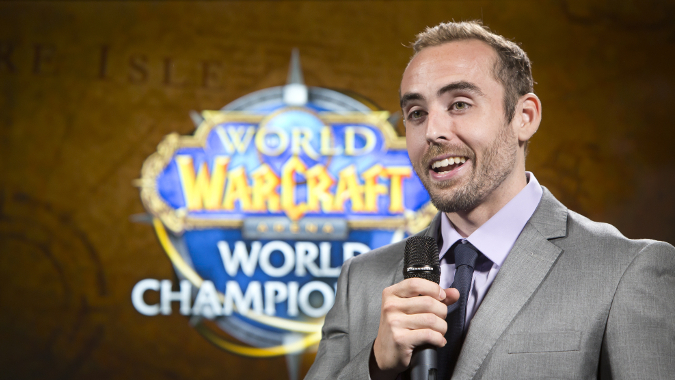 North America Arena Regional Finals 11 a.m. CST Saturday and Sunday, stream on World of Warcraft‘s official Twitch, or on Aldrah’s Twitch for Spanish commentary. Link your Twitch Profile to your Battle.net account and watch the Finals to get the “Patron of War” feat of strength achievement and title in World of Warcraft. There isn’t an indication that you’ve earned it until after the event has concluded, unfortunately. Just go to your Twitch connection settings page and follow the instructions for Blizzard Battle.net to link the two, then tune in. Nexus Games – European Finals noon CST Saturday and Sunday, stream on Blizzard’s official Twitch. Nexus Games – North America 8 p.m. CST Friday-Sunday, stream on Blizzard’s official Twitch. Team Dignitas announced a trip to Korea for a bootcamp in preparation for Blizzcon. An announcement from TeSPA this week stipulated that starting in 2017, players could not play both on a pro team and compete in TeSPA collegiate tournaments. This includes the flagship competition Heroes of the Dorm. As a result new pro team Imported Support, who showed very well during season 2 of Heroes United, have chosen to disband so their players can maintain eligibility for TeSPA events. Last Call – Europe 10 a.m. CST Saturday, stream on Blizzard’s official Hearthstone channel. Last Call – Asia-Pacific 2 p.m. CST Monday, stream on Blizzard’s official Hearthstone channel. APAC Premiere Main Event Thursday-Saturday 2 a.m. CST, stream on BananaCulture. If you don’t manage to catch Overwatch tournaments at the posted times, most events run by larger organizations will rerun broadcasts later that day, so check the streams to see if one is running. ESL in particular reruns broadcasts multiple times. The Cloud9 Overwatch roster may be seeing some changes after they showed up to the Alienware Monthly Melee with half their squad replaced by trial players. Surprise! Grego, DeBett and Reaver are likely on their way to greener pastures, even if they’re not replaced by Wolf, Mendokusaii and RYB. It wasn’t a convincing first showing, though they may just need some time to come together as a unit.